Why do you give the nod to Live Streaming WordPress Plugins for your WordPress website? Live streaming means to broadcast real-time videos to the audience, who are approaching the video stream over the internet. These Livestreaming WordPress plugins live up your performance and give exposure to your business. It not only helps to be in touch with your website visitors and engage the target audience but also grabs the strangers attention too! In this blog, we are covering the list of 5+ Best Live Streaming WordPress Plugins that let you enjoy the fruit of live broadcasting. Also, we have provided the official links of these plugins which will help you to know all the inexplicable benefits briefly. This plugin is a live streaming tool for your WordPress website. You can stream live with a simple shortcode. 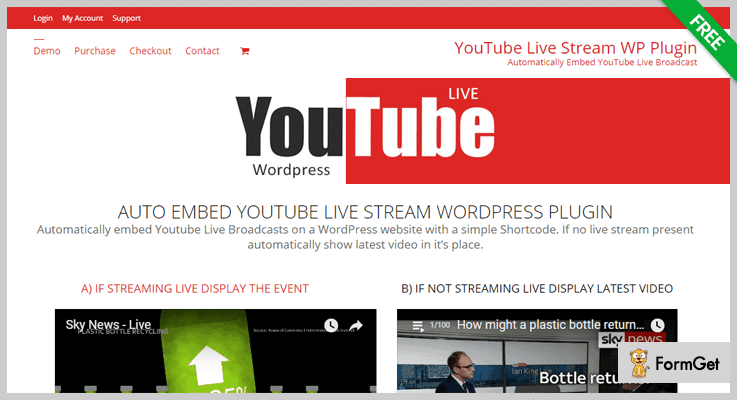 YouTube Live Stream WP Plugin automatically embeds your live video and if no live stream is present then it inevitably shows the latest video in its place. You don’t need to update your embedded YouTube share code every time you start streaming live. It has a simple pricing of $17. Through this plugin, you can “sell tickets” for showing live concerts or events on your WooCommerce website to the visitors. You can charge the customers on the pay-per-view basis. WP Stream helps you to get “rent” of the recordings of events. Also, this plugin helps to monetize your video content on the subscription basis. It lets you create unlimited channels, recorded videos and broadcast your content to unlimited visitors. You will get enough resources to check the setup and publish few short-lived videos. For personal broadcast, this plugin is well suited for the handful of viewers. This package is suitable for the medium-low sized audience. If you want to broadcast periodically then this package is best for you. You can do full control on your content and will get add-free streaming. This package is suitable for larger audiences. This plugin provides the video player having modern responsive design and great features such as Live Streaming, Theme Builder, Social Sharing and Advertising. bzplayer – HTML5 video player supports many resources like Soundcloud, Youtube, Vimeo, Google Drive and also Self Hosted: video-audio-live stream (MKV, FLV, WEBM, MP4, M3U8, MP3, OGG), Live Streaming: MPEG-DASH, HLS, RTMP. You can playback your videos on all the devices and browsers. You can put your own logo image on the video player (PNG, JPG, GIF). Share your media on social platforms. You can continue with your video from where you have left. You can adjust the speed of the playback. You can enable age restriction depending on the video content. You can adjust the quality of the YouTube videos. 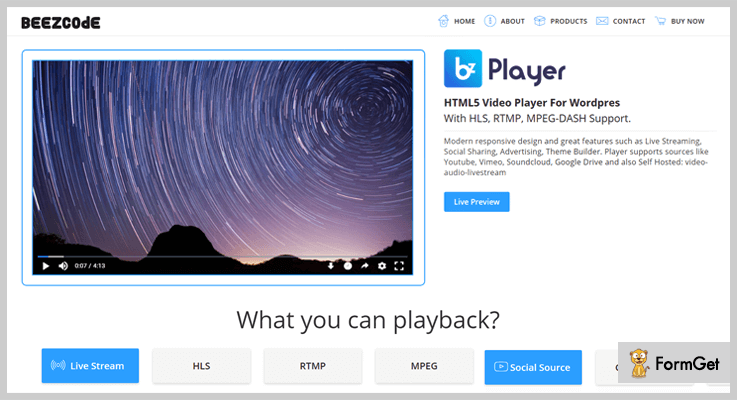 bzplayer Pro – Live Streaming Player WordPress Plugin has a pricing of $20. This plugin helps you to display live stream videos on FaceBook, YouTube, Twitch, Instagram, Twitter, Hitbox, Mixer and Azubu. 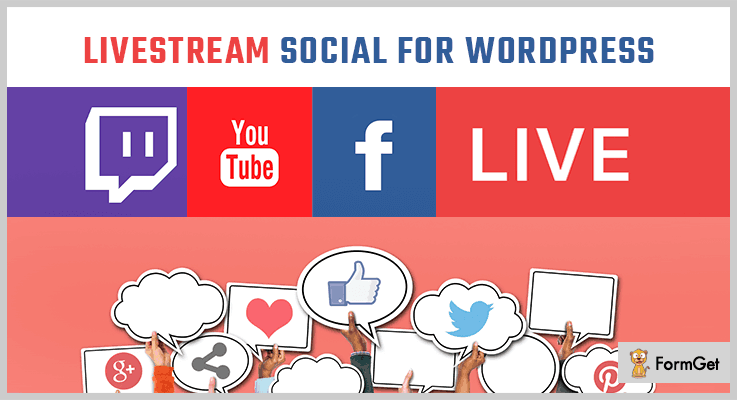 Livestream Social For WordPress is easy to use and can automatically match the video schedule. It provides unlimited bandwidth and much more. 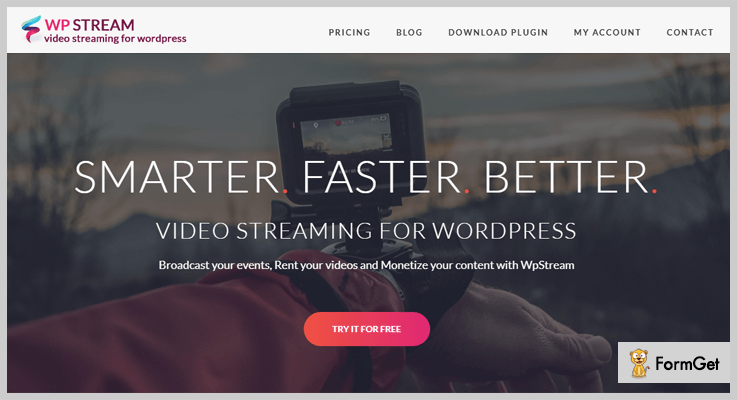 Livestream Social For WordPress has a simple pricing of $20. You can broadcast live stream your videos from various sources like IP cameras, PC webcam, mobile, desktop encoder apps and video playlists. VideoWhisper Live Streaming plugin allows displaying live channels in the web player on your WordPress website with tips, chat or HTML5 HLS for mobile. This plugin helps to manage unlimited channels and membership types. After using this plugin you don’t need to use 3rd party services, you can do specific streaming hosting and can control your content fully. This plugin is freely downloadable from official WordPress website. This plugin provides you with the embedded YouTube Player. You can use the shortcode to automatically embed ANY live stream from a specific YouTube channel ID. Youtube Live Stream Auto Embed can exhibit text/image/HTML content with a message that changes on streaming live or not live using a new shortcode. 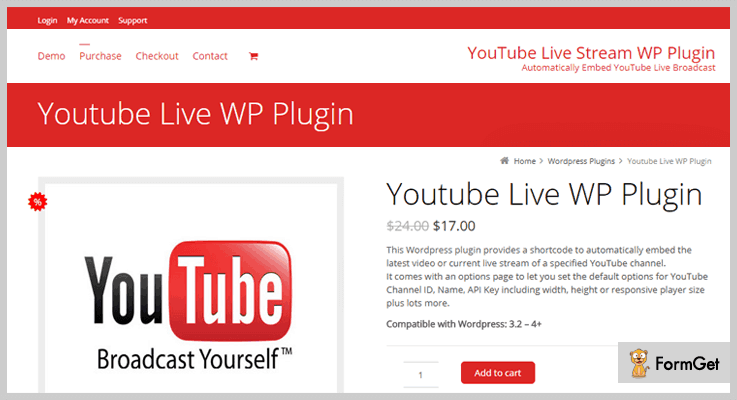 Youtube Live Stream Auto Embed is freely downloadable from the official WordPress website. We wrote this blog to help you choose the best Live Streaming Plugins from the ocean of broadcasting plugins available in the market. I hope this blog has given you the big ticket to go live on the internet without any mainstream media. Do let us know in the comments below about your current live stream plugins and also tweak us if we have missed something. Happy trails to you!